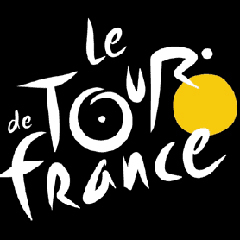 Berlin - German public broadcaster ARD will resume live coverage of cycling's biggest race the Tour de France in 2015 after four years, saying doping issues now seem a thing of the past and Germans were again successful. ARD had last broadcast the Tour live in 2011 before refusing to do so since then as more riders, retired and active, were either caught doping or admitted to using banned substances, damaging the reputation of the sport. Among them were several big-name German riders, including 1997 Tour winner Jan Ullrich and Stefan Schumacher, which reduced interest among German viewers and made it difficult for ARD to justify spending public funds on live coverage. The doping speculation and subsequent confession of disgraced former multiple Tour de France winner Lance Armstrong further highlighted the sport's drugs problem. "The latest German successes, especially at the Tour de France, and the new generation of German riders who repeatedly speak out in favour of a doping-free sport have led to a higher attractiveness of this event," said ARD programme director Volker Herres in a statement. Germans Marcel Kittel, Andre Greipel and Tony Martin have won 18 stages among them in the last four editions of the Tour. "Germany is a major country in the world of cycling," Tour Director Christian Prudhomme said in a statement. "Thanks to ARD's channels, I am delighted that the German public will be able to follow the Tour de France on German public TV, unencrypted, daily and live the race for the next two years". This year's Tour runs from July 4-26 and includes stages in Belgium and the Netherlands.